SNAFU! : US Army getting even MORE serious about deep strikes! US Army getting even MORE serious about deep strikes! 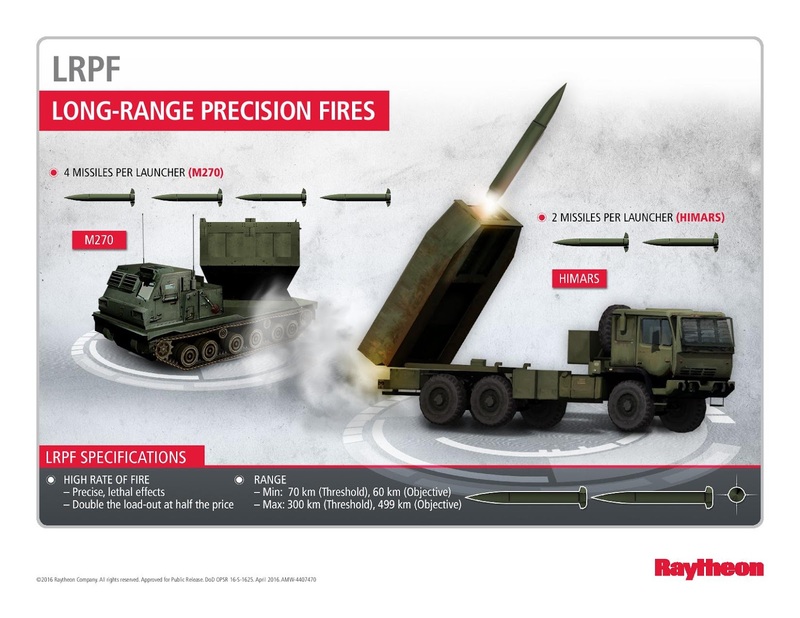 The Army’s plan is not just to trade salvos of missiles from a distance, but to combine its long-range artillery with other combat arms in what it calls a multi-domain battle. As Maranian and his counterpart for aviation, Brig. Gen. Wally Rugen, explained to me in interviews, long-range artillery will have a symbiotic relationship with airpower. (WTF IS THIS GENERAL THINKING...Air Power advocates seek to dominate and control...a symbiotic relationship is impossible!) Drones will find targets for the artillery, artillery will destroy enemy anti-aircraft systems, and manned aircraft will strike deep through the resulting weak points. Artillery will also be symbiotic with air and missile defense, Maranian said: “We provide offensive fires, they provide defensive fires.” The artillery will take out enemy aircraft and missiles on the ground — “left of launch” — so the air defenders aren’t overwhelmed by too many incoming threats to shoot down. The air defenders will stop the aircraft and missiles that do launch before they can destroy the Army’s artillery batteries. (It’s even possible that Hyper Velocity Projectiles now in testing could turn regular howitzers into dual-purpose offensive and missile defense weapons). The artillery will also get targeting data from ground vehicles and foot troops, Maranian said, and provide them supporting fire in return. In order to move all this data from sensors and spotters across the force to the artillery’s shooters, over long distances despite enemy jamming and hacking, Maranian’s Cross-Functional Team is working particularly closely with Maj. Gen. Pete Gallagher’s CFT for the Army network: “I was just on the phone with (Gallagher) right before we called you,” Maranian said. In fact, all eight Cross Functional Teams coordinate with each other in weekly video-teleconferences. But the Army Chief of Staff, Gen. Mark Milley, has made very clear that Long Range Precision Fires is the top priority of them all. Why? Partly that’s because artillery was so badly neglected during the counterinsurgency era, to the point that a 2008 essay by three artillery officers called it a “dead branch walking.” Partly artillery is the top priority because the Army believes it can no longer rely on airpower. They're taking baby steps but slowly the generation of Flag Officers that were raised at the knee of Vietnam era warriors are starting to learn the lessons of the now distant past. You know the past when air supremacy was NEVER guaranteed? The first highlighted portion is instructive. They want a symbiotic relationship? I believe that's wishful thinking and the influence of air power advocates. They will fight and claw for a seat at the table even though they NOW KNOW they threw it all away with their blind faith in the F-35. NOTE: Ogden posted a note saying that even the Marine Corps is about to put AESAs in its legacy Hornets....even the Corps' leadership is coming around to the idea that the F-35 will not deliver in the near future...MAYBE long term but in the short term not even close! The second portion is telling. Now we're hearing talk of artillery clearing a lane for airpower? That says it all in my book. The third highlighted portion is just fact. The ground forces of the United States (and our allies) can no longer count on airpower. I've been screaming this to the rooftops for years. Good to see leadership FINALLY locking onto something we've all know for quite awhile.